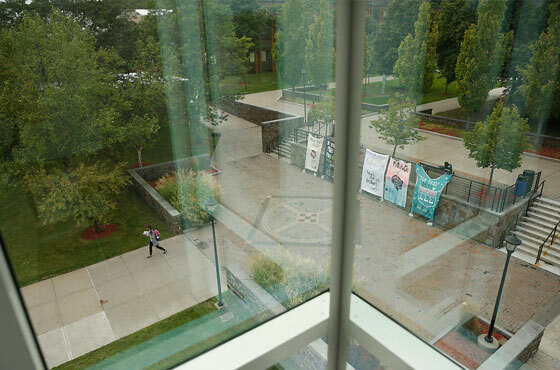 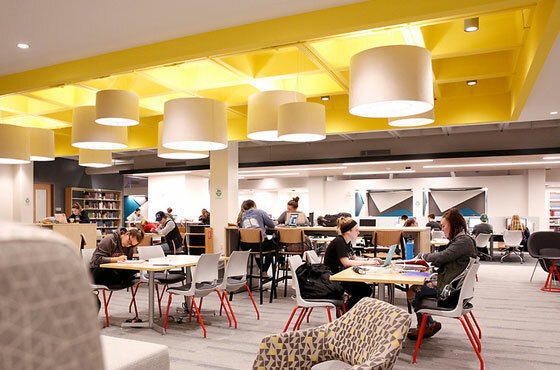 Renovation of SUNY Oneonta’s James M. Milne Library is officially complete, four months ahead of schedule. 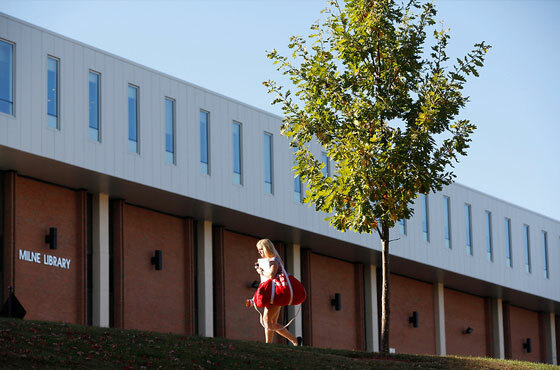 A ribbon-cutting event Tuesday, Sept. 18, celebrated the official opening, which was not expected until the spring semester. 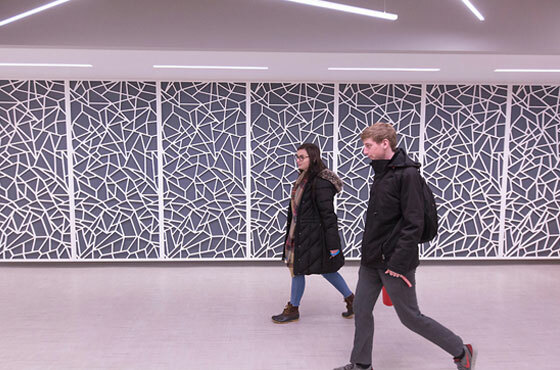 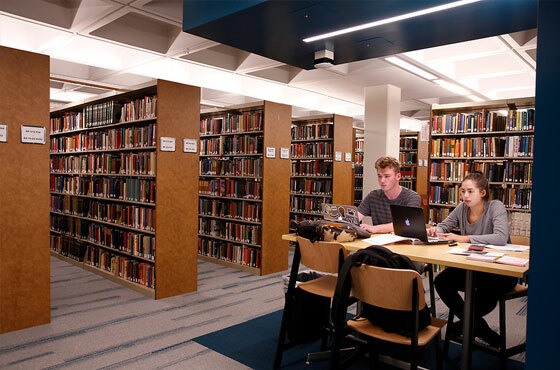 The $8 million library project, which began 18 months ago, has enhanced study and research areas in both number and quality. 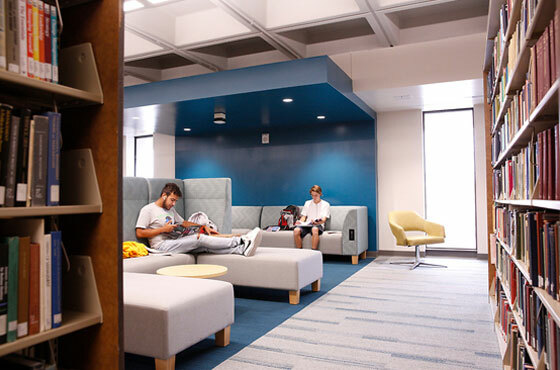 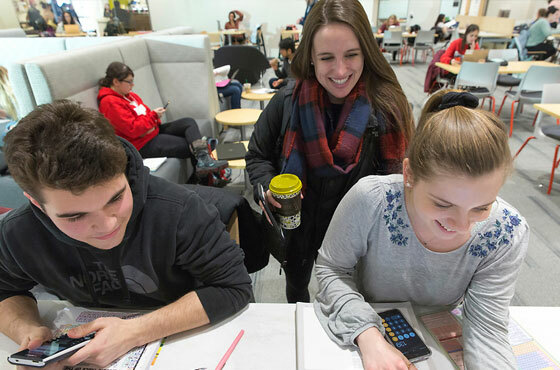 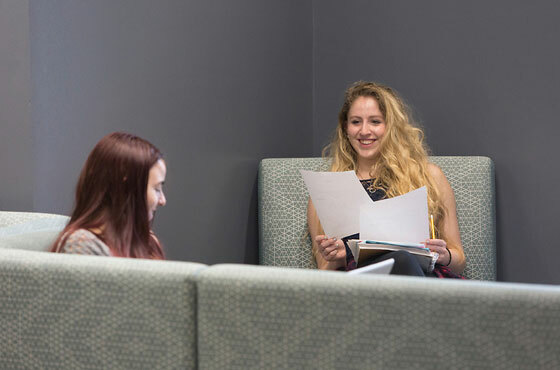 Bright, open spaces, modern seating and light fixtures, and pops of teal and yellow make the library a space in which students want to spend time. 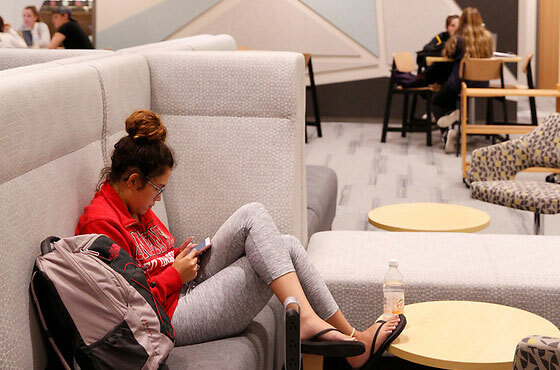 Nearly every seat and desk area now has direct access to an electrical outlet so students can easily plug in their phones and laptops. 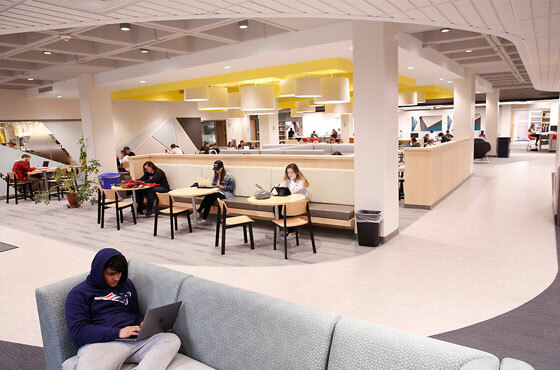 Expanded Wi-Fi access coverage reaches deep into the building. 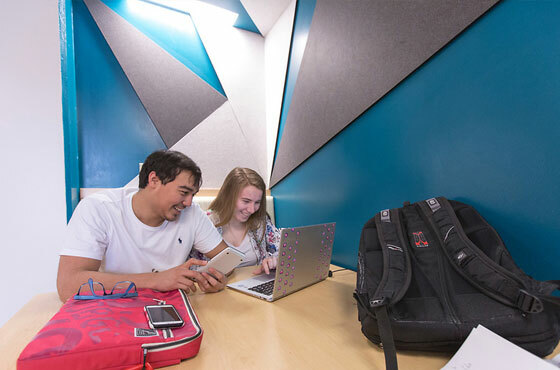 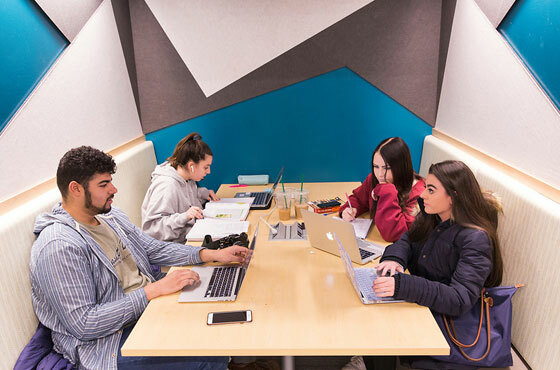 Colorful alcoves with comfortable seating, soundproofing panels and glass writing boards make this an ideal space for students to work efficiently. 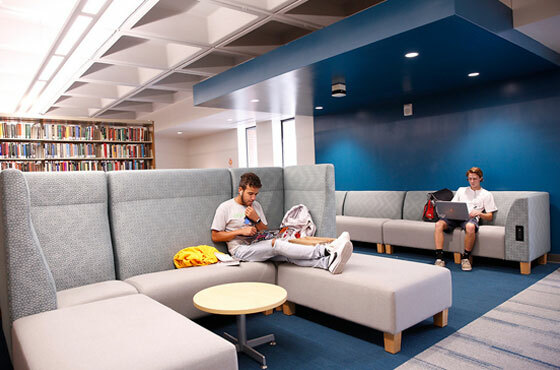 More modern collaborative space has been added, including group study rooms and study booths. 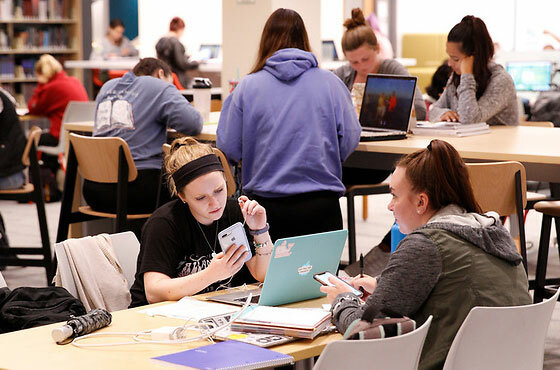 Enlarged and upgraded to a 40-seat computer lab, the primary library computer classroom will now serve the campus at a higher level. 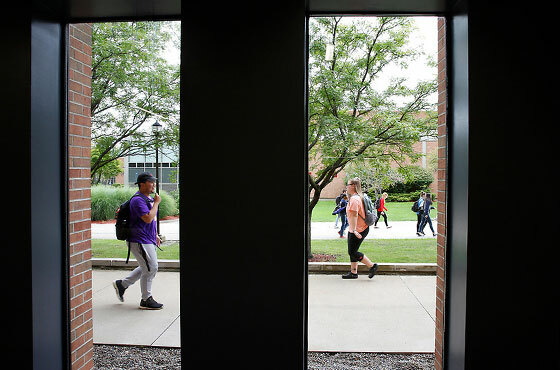 There are also gender-neutral bathrooms and water-filling stations. 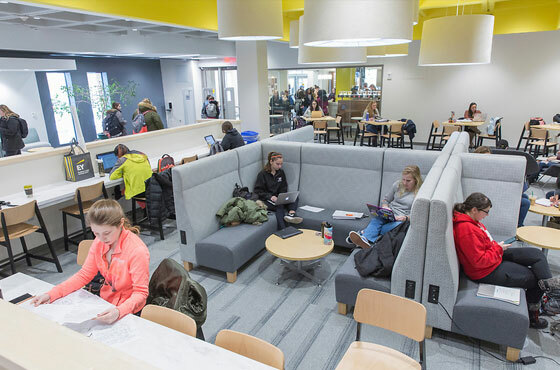 With the completion of the second floor this month, an important piece of the library is now in use – the new Student Learning Center. 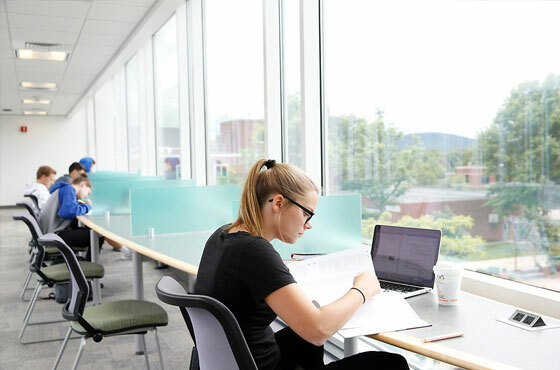 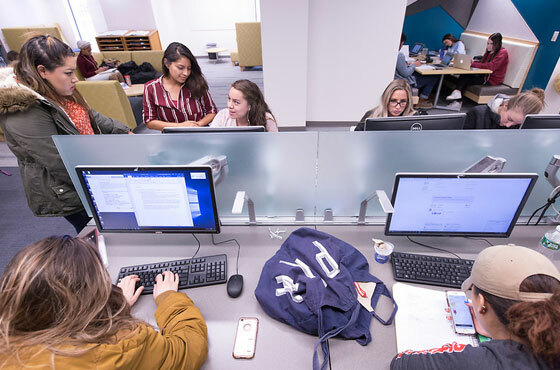 The Tutoring and Writing centers, formerly known as the Center for Academic Development and Enrichment (CADE), are now conveniently located here, with Accessibility Resources located one floor down at 113 Milne. 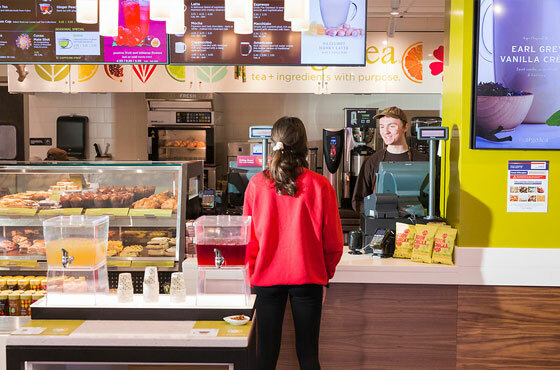 Argo Tea, a business that promotes a healthy lifestyle while making a positive impact on communities and protecting the environment, has moved in on the first floor, replacing Jazzman’s Café. 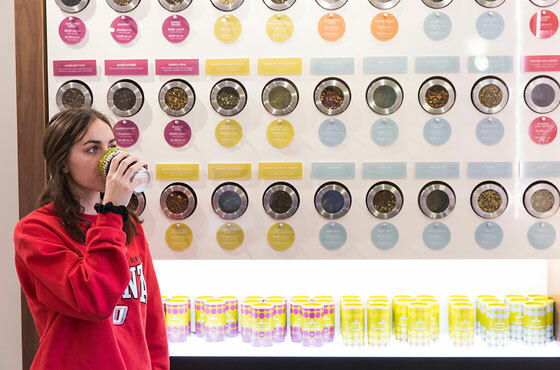 Argo beverages and teas are all natural and made from real ingredients that are free of artificial flavorings, colors or additives. 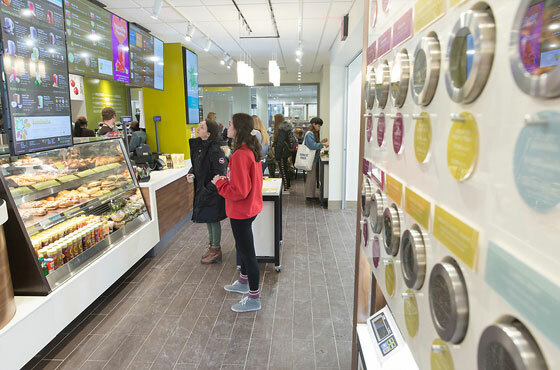 Café foods are free of trans fats, preservatives and artificial flavors or colors, and many of the items are vegan and/or gluten-free.